Your skin is your largest organ, and when it’s irritated, it can be incredibly uncomfortable – as any eczema sufferer knows. Eczema is an itchy red rash that can appear anywhere on the body and it’s common in people who have dry and sensitive skin. In fact, it can cause the skin to crack and blister, due to swelling of blood vessels, which irritate nerve endings. Eczema occurs when the immune system overreacts, leading skin tissue to become inflamed (1). Underlying causes can include leaky gut syndrome, stress, genetics, environmental factors, and immune deficiencies. Most cases of eczema are diagnosed during childhood and the rashes tend to be located on the inner and outer areas of a joint e.g. elbows, knees etc. The symptoms of eczema tend to be more pronounced in childhood, and thankfully they reduce in severity if the disease carries through into adulthood (2). One of the main issues associated with treating eczema is that everyone has different symptoms – the rash can look different from person to person and the rashes can also affect different parts of the body from time to time. One of the maddening things about eczema is that the itch can become so severe that it’s almost impossible not to scratch it. But scratching the itch can lead to bleeding, making the rash spread or become more severe, increasing inflammation, and causing even more itching. There is no cure for eczema but the symptoms, if dealt with correctly, can be manageable (2). This type of eczema is also called “atopic dermatitis” and is associated with skin problems at birth. It is a genetic disposition that is triggered by certain foods, asthma, hay fever, stress, and other external factors. The majority of cases associated with allergic contact dermatitis are seen in adults that are in contact with irritants or products in relation to their profession. For example: hairstylists who are in constant contact with shampoos and hair products and eventually develop allergic skin reactions to them. Discoid eczema is a longterm skin condition that causes the skin to redden, crack, and itch. The term “discoid” refers to the round formations this type of eczema creates on the skin, which can normally be seen on the lower legs, arms, and stomach. This type of eczema begins as dandruff on the scalp. It can progress to the face and has a red and inflamed appearance. Varicose eczema affects the lower legs of middle-aged adults and it is associated with poor blood circulation. This causes the skin around the ankles to be inflamed and red; if left untreated it can lead to skin ulcers. There is a huge connection between diet, lifestyle, and eczema. While topical and over-the-counter medicines might treat the symptoms of the disease, they don’t get at the underlying issues causing it. As you might imagine, diet can play a huge role in helping to manage eczema. Also, what you put on your skin topically can make difference. Healthy skin is made up of layers that are full of water, fats and oils that help with water retention. But, if you have eczema, your skin holds less water, and also there are less natural oils in your skin. That causes the space between your skin cells to widen, as they are not as plump with water. As a result, you start to lose moisture from the inner layers of the skin. That makes it easier for irritants and bacteria to enter skin cells, causing the skin to turn red and become itchy (3). This is why soaps and detergents can exacerbate the symptoms associated with eczema because they strip away the lipids that protect your skin. These natural remedies focus on fortifying your skin barriers, retaining moisture, and addressing symptoms like itching. What dietary changes can help with eczema? Basically, following a healthy, allergen-free, whole-foods-based diet can go a long way to reduce underlying inflammation. Alcohol increases inflammation and dries your skin out. 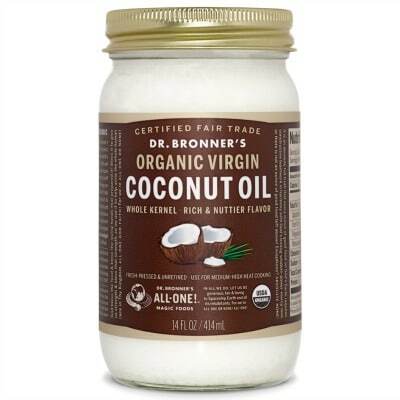 Try moisturizing your skin with organic, unrefined coconut oil. Coconut oil contains lauric acid, antioxidants, and medium chain fatty acids, which help to hydrate the skin and kill bacteria. 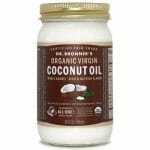 While coconut oil can be effective, as I mentioned earlier eczema is a highly individual skin condition. 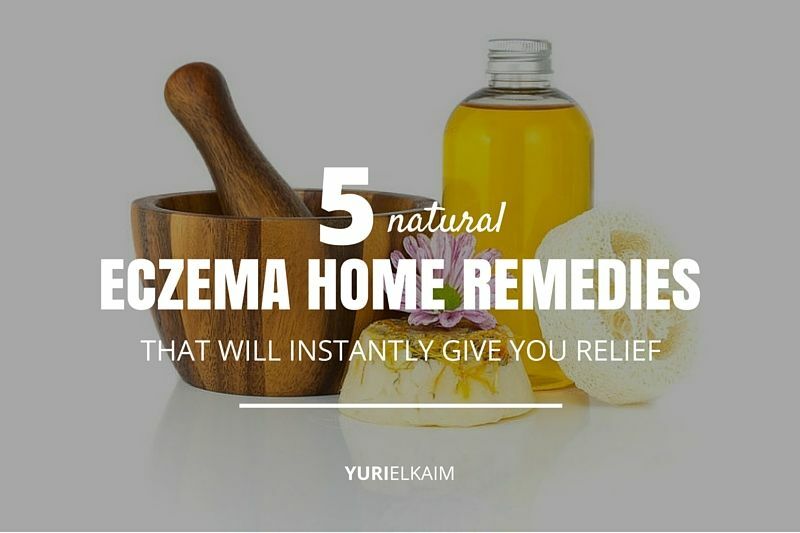 That means not everyone will benefit from the same home remedies for eczema. 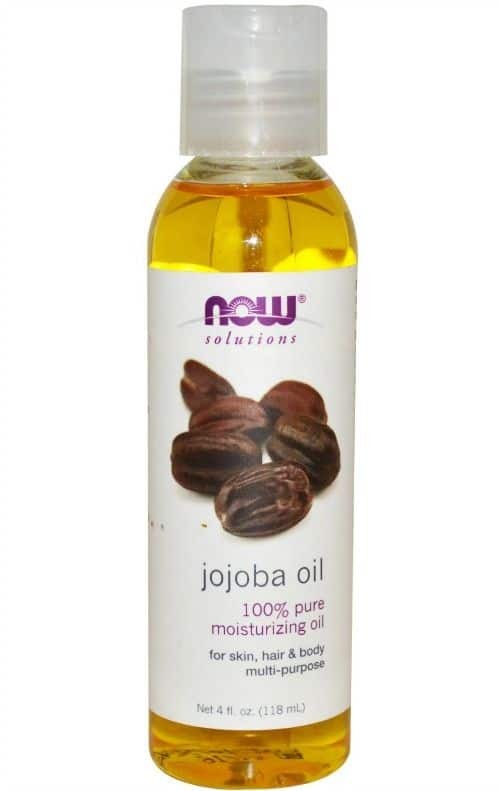 If coconut oil doesn’t work, try jojoba oil. Jojoba is not actually an oil but a liquid wax that penetrates the skin cells very deeply and has a similar structure to sebum. Sebum is the skin’s natural moisturizer and jojoba oil is extremely rich in long chain fatty acids and other moisturizing agents (4). For the best results clean and dry your hands and then gently massage the jojoba oil into the affected areas. Apply 3 times per day as needed. If the oil choices don’t work, you might consider using vegetable glycerine. Don’t be alarmed when you hear the word glycerin – the distinction between regular and vegetable glycerine is the key. Glycerine is the main compound found in oils and fats and is usually a byproduct in the soap manufacturing industry. But what separates vegetable glycerine from regular glycerin is that it is plant-based and of a higher quality. Vegetable glycerine is approximately 99 percent pure with the remaining 1 percent being water (4). That makes it a safe choice to help heal dry and inflamed skin. Vegetable glycerine also helps to draw water into the skin cells and then seal in moisture. It also helps to fill in the gaps within the skin and it distributes the moisture evenly throughout the layers of the skin. The best method of using glycerine is to mix it up in a 1:1 ratio with water (for instance, a quarter-cup each), and then put the solution into a spray bottle. Shake up the spray bottle and then apply to the areas of the skin that need attention. Chamomile tea helps soothe eczema symptoms. It helps to reduce inflammation, calms down itchiness, and heals the patches of skin that have been scratched. Some of its main benefits are derived from the natural based alcohol called bisabolol (4). Bisabolol reduces irritation and inflammation and contains potent antimicrobial agents that help to fight off any bacteria and infections caused by weakened skin. 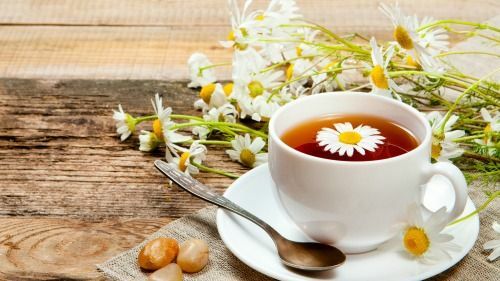 The best method to use chamomile tea to soothe your skin is to bathe in it. Place 4 tablespoons of dried chamomile flowers into a muslin cloth and then place directly under the faucet as you fill your bathtub. Once the tub is full of water, squeeze the muslin bag into the bath water and soak for 15 minutes. When you’re done the bath, dry off and moisturize well. Following a healthy lifestyle, eliminating allergens and inflammatory foods, and cutting back on stress can go a long way toward easing eczema symptoms. While each eczema sufferer might have their own unique triggers, experimenting with home remedies for eczema can help the body battle with this disease. Want Yuri’s Best Home Remedies? Prefer to naturally heal your body? Get the 10 go-to natural remedies Yuri uses at home to keep his family healthy (and drug-free) – for FREE! Get the Healthy Home Remedies Handbook by clicking the banner below.